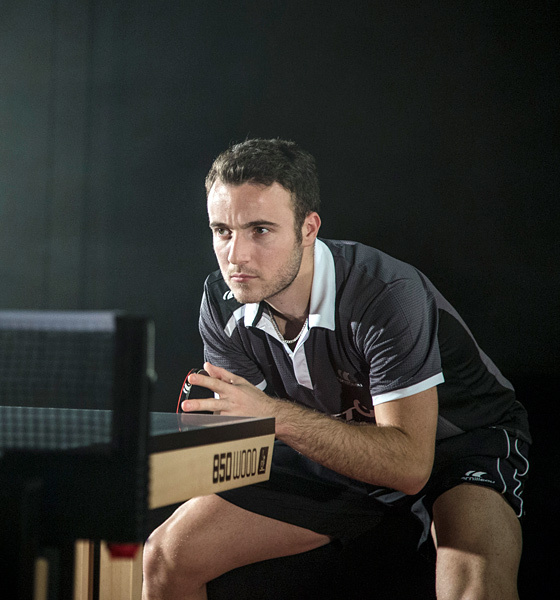 What is table tennis in French? If it were not “Table de Ping-pong”, the French would surely call it Cornilleau. 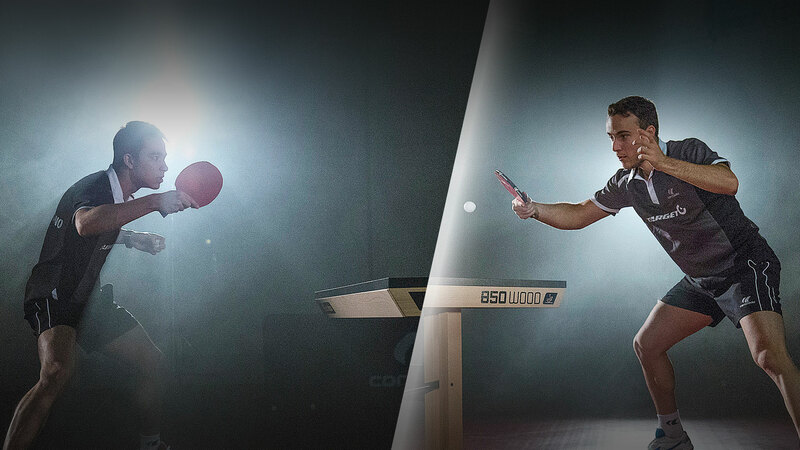 The Cornilleau company is a historic manufacturer of ping-pong tables and markets racquets, balls and accessories for leisure and competition. Their products are distributed in over 80 countries around the world. Since 2014, Cornilleau is the premium partner of LMC, and respectively since 2010 and 2012, the sponsor of Simon Gauzy and Hugo Calderano. However, they support the LMC not only in professional sports, but also in basic work, for example in various school projects, such as the EnBW School Cup or the “LMC bases for talent promotion”. 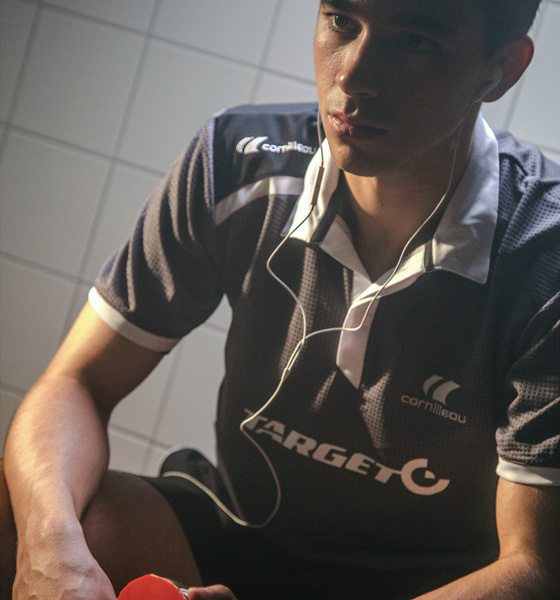 That’s why we talked to Cedric Corre, Marketing and Communication Manager of Cornilleau about YOUPLAY, an interactive ping-pong table, innovation, the Olympic Games and what end of life clothing has to do with one of their latest products. YOUPLAY – interactive ping-pong table. What was your intention to develop this table? 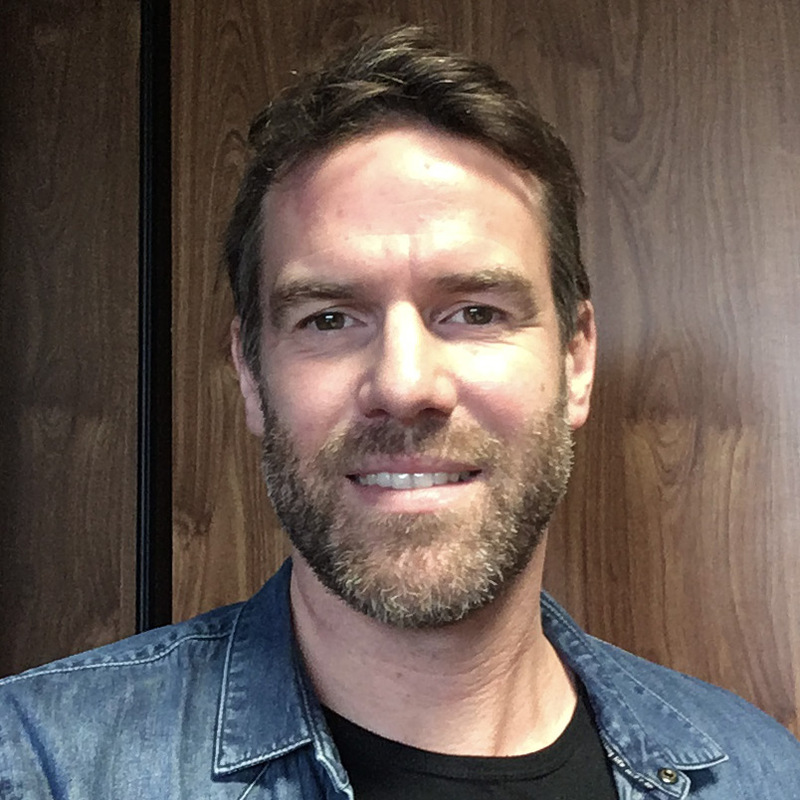 The purpose of this project was to allow users to live a unique “Ping Experience” and to evaluate the general public interest in this type of innovation. We‘ve noticed a real interest during this project. Now that’s obvious and everything what makes ping-pong more attractive and trendy pays off, of course, for our sport. But it is also difficult to develop such a product at a reasonable price. For which target group was it developed? Right from the start, we decided to make it available to as many people as possible, that is why it is freely available at the Ping Pong Bar GOSSIMA in Paris – but at the moment only there. The target group is therefore rather young and patronises bars. With the Bar Gossima we have meanwhile a real partnership and we have developed many specific products together. Is the table only ideal for leisure activities or is it also suitable for professional players as a kind of training? And if not, is a training mode planned? This table is 100% designed for general public leisure. In this project, we wanted to stay focussed on our “core business”. Although, of course, a high-level LMC player would have a lot of fun trying it out, because there are different levels of difficulty. The idea would ultimately be to make this proposal of “augmented ping” available to everyone, and yes, why not, we could also add a “training” mode. What does innovation mean to you/Cornilleau? Innovation is our signpost to the future. Without innovation, there is no possibility of differentiation with regards to the competition. At Cornilleau, the R&D and Marketing departments are grouped together as an “Innovation Sector” at the heart of the plant: grey matter “Made in France”, to discover, design and create all the products of today and tomorrow. What do you think, where will the professional table tennis be in 5 to 10 years? Speaking about what we know best, leisure ping-pong surely has a bright future. It is widespread in Europe and will progressively spread to the American continent. As for the competition, the champions (especially the Chinese) have never been stronger, and watching them is really impressive. With young up-and-coming champions (Hugo and Simon for example), who are now able to rival the best Chinese players, it should also boost the interest of spectators in the upcoming years. Unfortunately, competitive practice of the sport is losing speed on the overall, and this will surely continue if clubs (particularly in Europe) do not come up with a genuine revolution in the way that welcomes players who do not necessarily want to run a championship every weekend, but rather to play a “different” kind of ping. What trends do you see in the development of table tennis hardware in 5 to 10 years? Leisure ping-pong is booming, we are really working on developing products that are increasingly fun, educational, long lasting and environmentally-friendly. In the field of competition, however, it is difficult to innovate because the equipment standards are so strict. It would be really important that the ITTF regulations be changed if one day we would like to see “connected racquets” on the market. Can you cite an example of a product that is increasingly fun, educational, long lasting and environmentally-friendly? SOFTBAT: the market’s first outdoor “eco-designed” bat. This innovative and durable product comes 100% from a ‘Made in France’ production process and from the recycling of Armor-Lux textile fibres. How did you come up with the idea to develop SOFTBAT? It’s not common to produce a bat out of a shirt. The injection company with whom we are working with, has entered into a long-term R&D partnership with this famous French textile brand (Armor Lux). Thanks to our important experience in the field of plastic injection (we launched the first outdoor injected bat in 2005), we quickly got involved in this tripartite collaboration. Does sustainability play a decisive role in the development of all your products? And if so, why does it? Not really at the moment, but it is a first and very promising step. What is on your agenda when preparing for the Olympic Games in 2 years? Our protagonists will follow a relatively traditional programme until June 2019. Then they will follow an individualised programme that takes their needs into consideration, but also those of the club. Our strategy is clear: they will have to complete many hours of training in order to be able to “perform” on D-day in Tokyo. The games take place in Japan, where table tennis is a very popular sport. Are the games therefore particularly interesting for you? The media will pay particular attention to table tennis matches there, which is very good news for the sport. 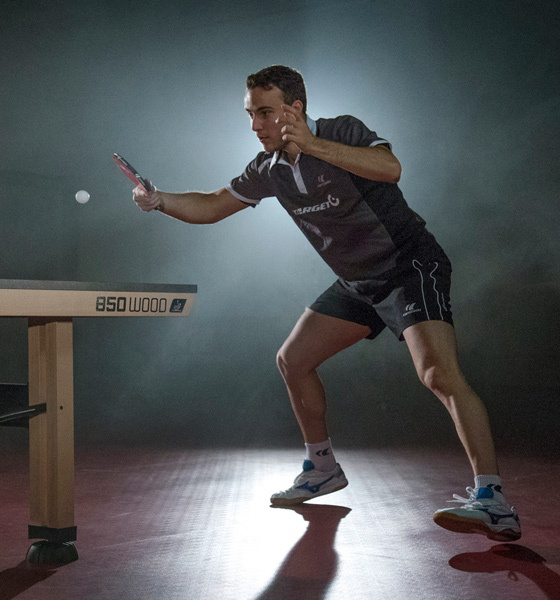 We are pleased to be the official equipment supplier for the French table tennis team of Paralympics, which will provide excellent visibility for our brand. Are you hoping for a medal for one of your talents? And of course, we hope they’ll bring home a medal from the Olympic Games. The path taken is just as important as the medal, but this would really be the “icing on the cake”. And that would be a great success for your cooperation with LMC, right? Yes of course. LMC offers our top players perfect training conditions and we are happy and proud to be part of this ambitious project.